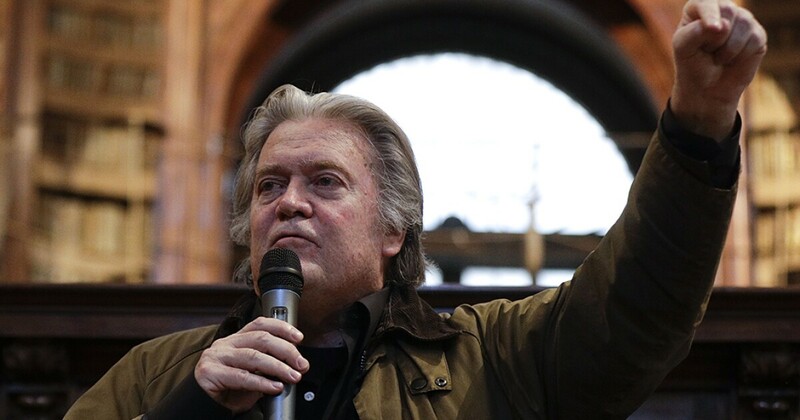 P resident Trump's former campaign chairman Steve Bannon reportedly said the president's most dangerous 2020 opponents would form Rep. Beto O’Rourke and Sen. Kamala Harris, D-Calif.
"Beto on the ticket with Harris is the most dangerous ticket for Trump," Bannon told a conservative group in Italy, according to the Daily Beast. "But don't forget, the vampire is still alive: Hillary Clinton," Bannon added. 8 bid to unseat Texas Republican Sen. Ted Cruz. O'Rourke lost at less than 3 percentage points, despite Trump winning the state by more than 7 points in 2016. The 54-year-old Harris, who announced she was running in January, is a well-known senator and forms prosecutor from California. A recent poll shows that O'Rourke and Harris are in a dead heat, said at 8 percent each among Democratic primary voters. They both trail father behind forms Vice President Joe Biden and Sen. Bernie Sanders, I-Vt.
Biden has yet to announce his candidacy but is expected to soon. Sanders joined the race in February.